India is a country whose history is written in blood, and its legacy is cities teeming with human misery and vultures profiting from evil and corruption. Balahadra Naraka is a big game poacher turned murderer of anyone who stands in his way: cops, soldiers, game wardens and, now, U.S. diplomats. His savagery, coupled with his own government's failed attempts to stop him, translates to open season for a warrior more than ready to end Naraka's long, cruel career. 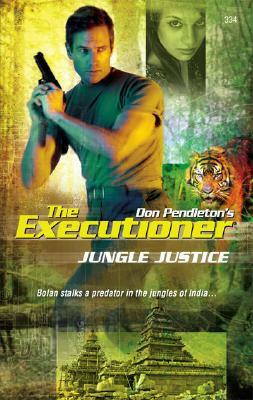 The hunt will take Mack Bolan to one of the darkest, least hospitable places on earth: the swamps and jungles of India's Sundarbans , where the warlord has taken the number one spot on the Executioner's most endangered list.